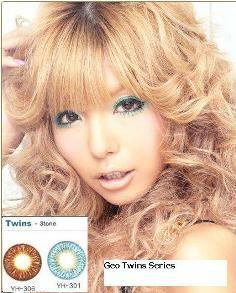 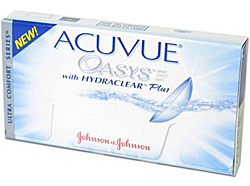 ACUVUE OASYS Brand Contact Lenses with HYDRACLEAR Plus. 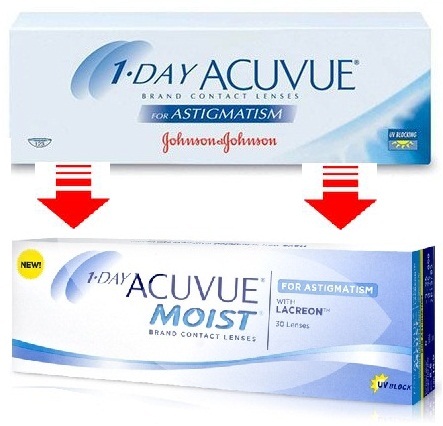 Experience HYDRACLEAR Plus technology and say goodbye to dry eyes, even in challenging environments. 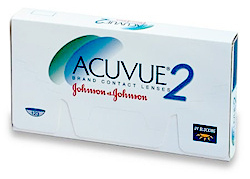 Acuvue Oasys are weekly disposable contact lenses manufactured by Johnson & Johnson. 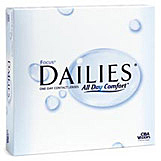 They utilize the Hydraclear Plus technology to help eyes stay moist and fresh. 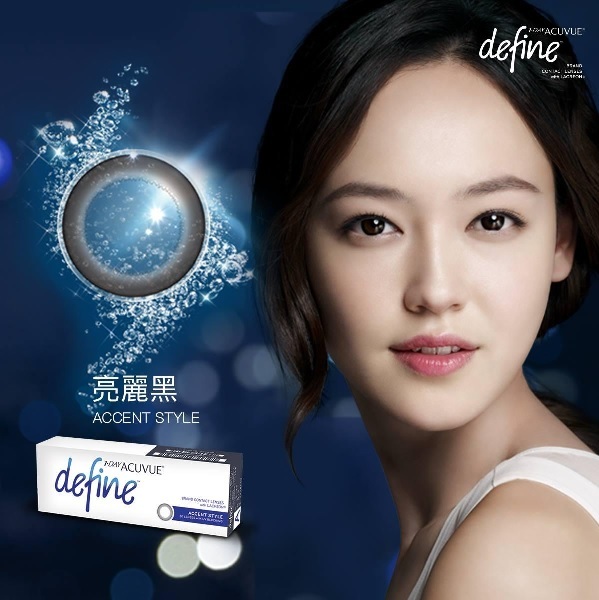 With Acuvue Oasys, dry is out. 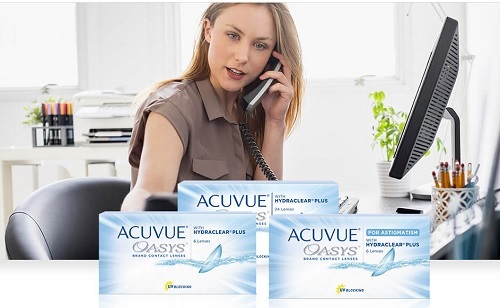 Acuvue Oasys are ideal whether you work outside in a dry or windy environment, in front of a computer all day, or even if you find your eyes tired and uncomfortable at the end of the day. 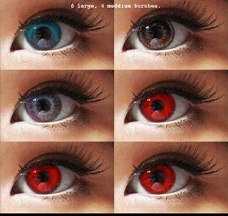 Whether you're inside or outside, challenging environments can make your eyes feel tired and dry. 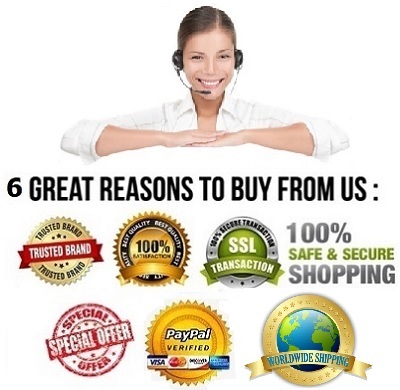 Long hours in front of a computer can leave your eyes craving moisture. 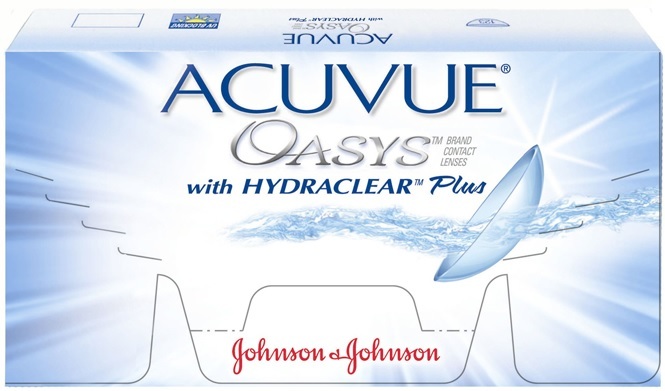 Acuvue Oasys featuring next generation Hydraclear Plus silicone-hydrogel technology, helps keep your eyes fresh and comfortable. 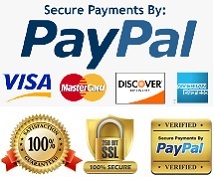 This item normally dispatch within 2 -4 business days. 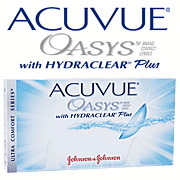 Get Your Acuvue Oasys with Hydraclear Plus contact lenses Today !